FEATURED ON FOOD NETWORK, COOKING CHANNEL & TRAVEL CHANNEL! 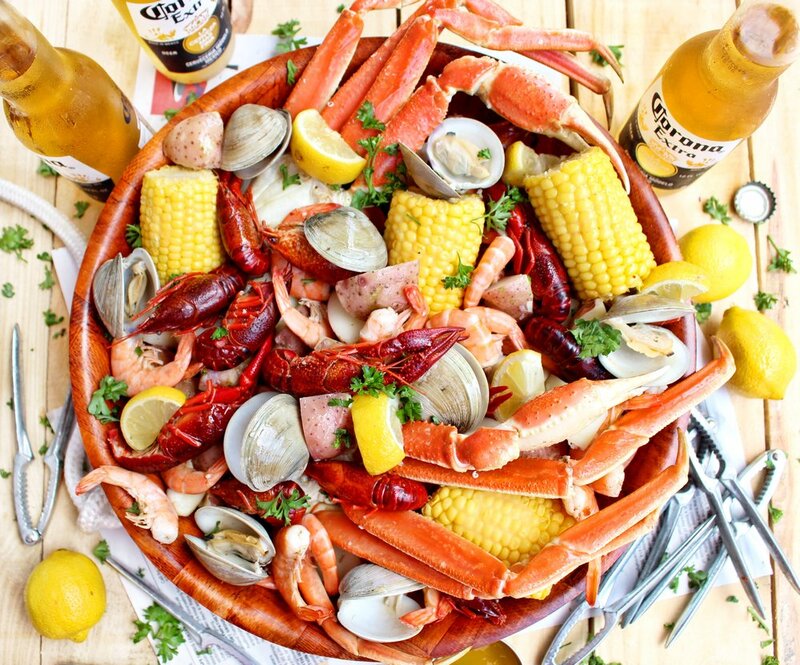 We offer low country boils, fried and steamed seafood, po' boys, seafood cones, crab cakes, spicy garlic blue crabs, and much more. 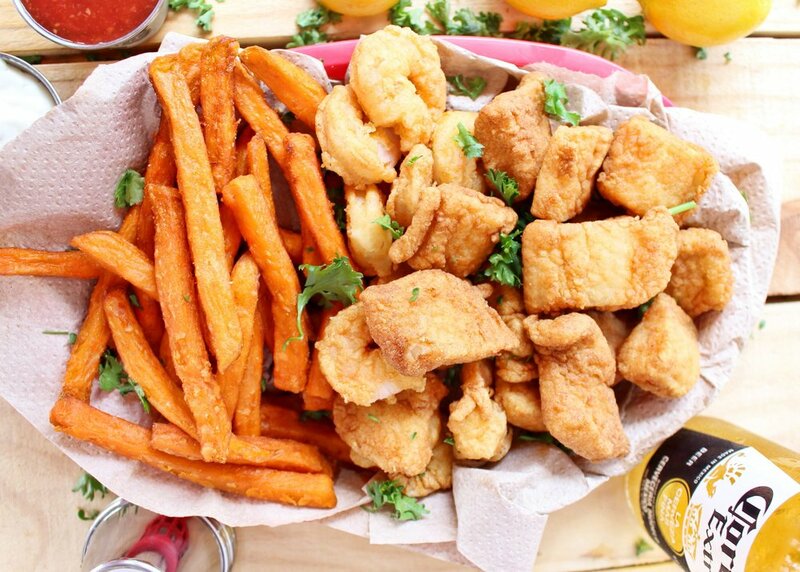 So, grab a beer and good company and dive into mouthwatering fresh seafood! A local favorite! Comes with shell on shrimp, corn on the cob, premium beef sausage, and red potatoes. Topped with garlic butter and our house Cajun seasoning. With just the right amount of heat! -- Sub peeled and deveined shrimp for additional $2 (single portion), $10 (medium party tray), $20 (large party tray). 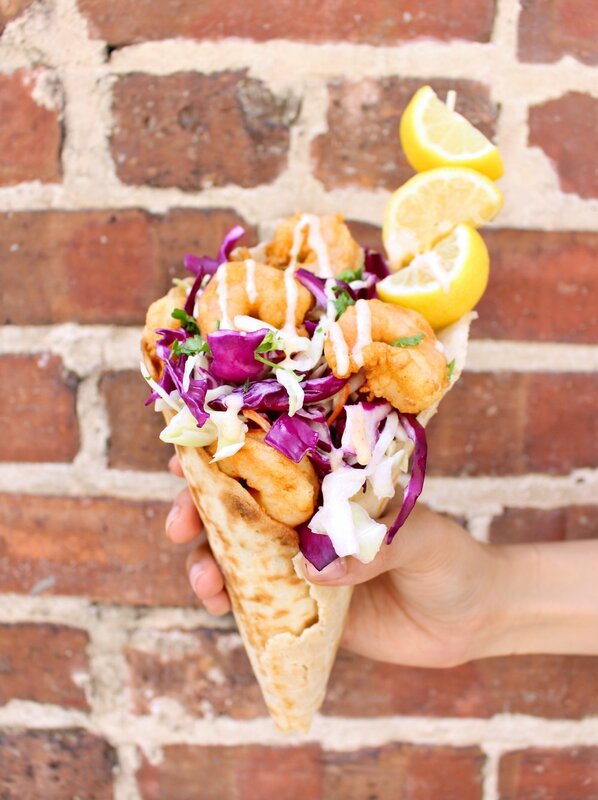 Here's the breakdown of the Seafood Cone: a homemade waffle cone, filled with creamy 'slaw and your favorite fried seafood then topped with our creamy house sauce! 3 soft tacos topped with 'slaw and our crazy good house sauce! Spring mix salad topped with tomatoes, cucumbers, and your choice of fried seafood or chicken. Boiled and steamed in our house Cajun seasoning then tossed in a bag with red potatoes, corn on the cob, and garlic butter! A local favorite! Comes with shell on shrimp, corn on the cob, premium beef sausage, and red potatoes. Topped with garlic butter and our house Cajun seasoning. Variety of local draft selections! Cooking Channel | "Southern and Hungry"
Travel Channel | "Food Paradise"